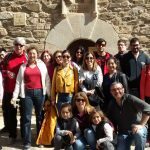 We enjoyed a visit to Montsoriu Castle and then a well deserved lunch. 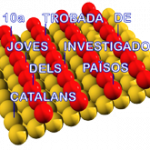 Tuning the deposition parameters for optimizing the faradaic and non-faradaic electrochemical performance of nanowire array-shaped ITO electrodes prepared by electron beam evaporation R. Pruna, M. López, F. Teixidor, Nanoscale 2019, 11, 276-284. All inorganic coordination polymers have been made possible with the m-carboranylphosphinate ligand E. Oleshkevich, I. Romero, F. Teixidor, C. Viñas, Dalton Trans. 2018, 47, 14785-14798. 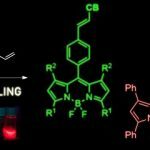 Carborane‐BODIPY Dyads: New Photoluminescent Materials through an Efficient Heck Coupling C. Bellomo, M. Chaari, J. Cabrera-González, M. Blangetti, C. Lombardi, A. Deagostino, C. Viñas, N. Gaztelumendi, C. Nogués, R. Nuñez, C. Prandi, Chem. Eur. J. 2018, 24, 15622-15630. We enjoyed a walk through the Collserola park and then we did a barbacue, including calçots. 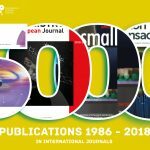 We have reached 5000 publications! This week ICMAB has reached the fantastic number of 5000 published papers written by its researchers! Posted in News, Uncategorized	| Comments Off on We have reached 5000 publications!